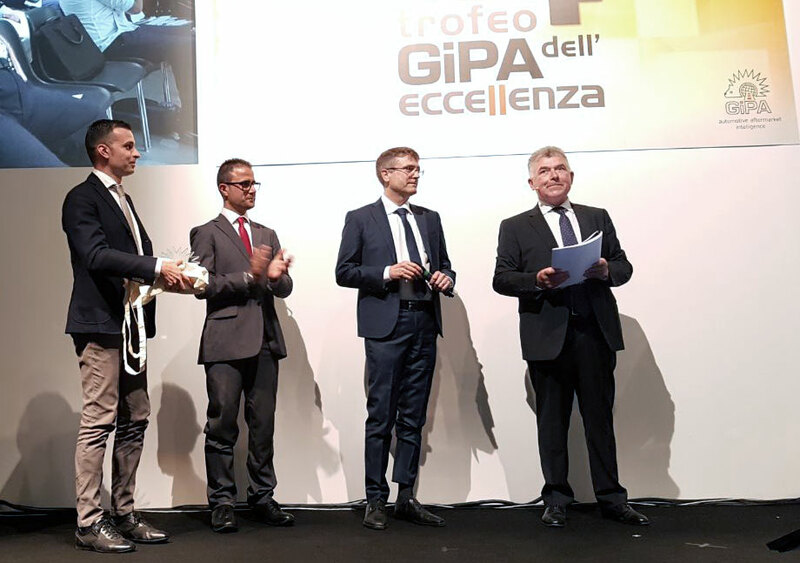 Our Partner Tekné Consulting, specialised in providing services in the Automotive sector, has just received the 14th Award GIPA 2017 (Trofeo dell’Eccellenza 2017 GiPA) for the category “Spreading Knowledge”, at the historic event Autopromotec, International Biennial Exhibition of Automotive Equipment and Aftermarket Products. We are happy for the prestigious achievement reached and we offer our most sincere best wishes to all the Tekné experts, with which we will continue our strategic path to providing services to the Automotive sector at International level. “The Company that has been able to best meet their expectations in terms of information gathering, in order to solve problems and to know the new systems in carrying out everyday activities on vehicles”. Down below, you can see the video presentation of the Company, that sums up the provision of facilities, offered by Tekné: analysis, integrated management of the warranties and spreading data.